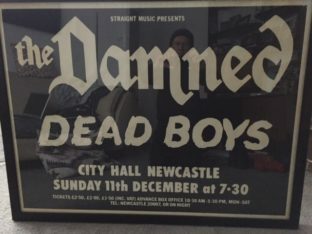 Damned & Dead Boys Newcastle 1977 poster > Blah! Blah! Blah! Just acquired this wonderful poster which I'd been after for years. The damned with the Dead Boys supporting - magnificent line-up!